The NXT generation in ergonomic design. The first ergonomically neutral rotating handle makes this the healthiest design ever. This shear has a rotating crane handle, molybdenum alloy steel, our Click Lock™ leaf spring tension system, and a smooth cutting convex edge. Now we have added Polymer Glide™™ lining in the pivots for a super smooth action and no metal-to-metal wear. We have also added sealed ball bearings to the tension system to further stabilize the blade and improve the feel. The rotating handle allows you to cut at any angle, with your elbow down. The handle also keeps your hand in an open neutral position. It's no surprise it has always been a best seller. 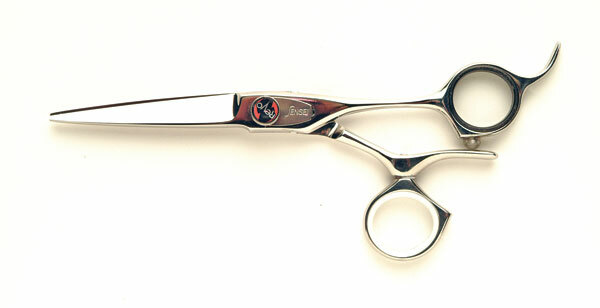 A state of the art rotating handle shear with convex blades. Expose yourself to the most comfortable and flexible handle available today.